The Return of the Hive! If you do anything with this post SHARE SHARE SHARE! 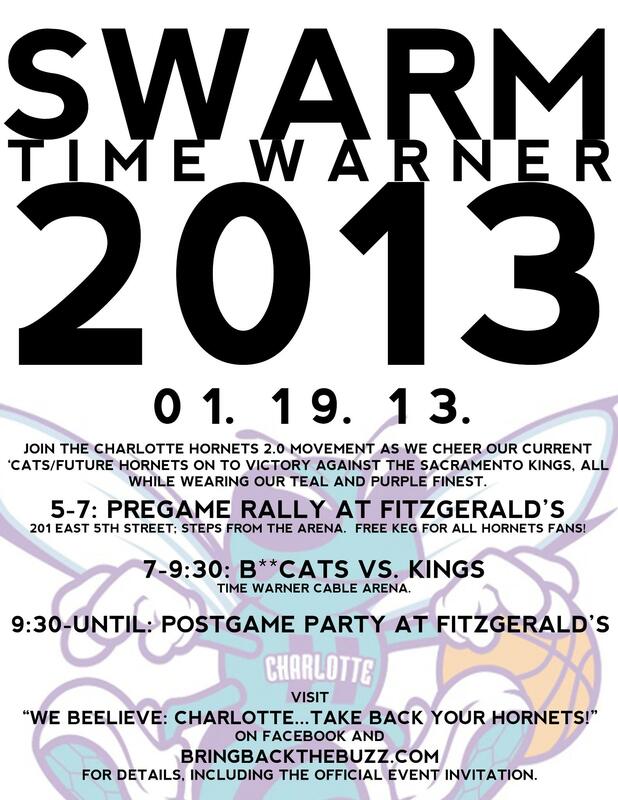 So as many of you know Bring Back the Buzz and We Beelieve: Charlotte…take back your Hornets! have been working on the biggest event in Charlotte Hornets history since the day the team left…..The Swarm Time Warner event on January 19. 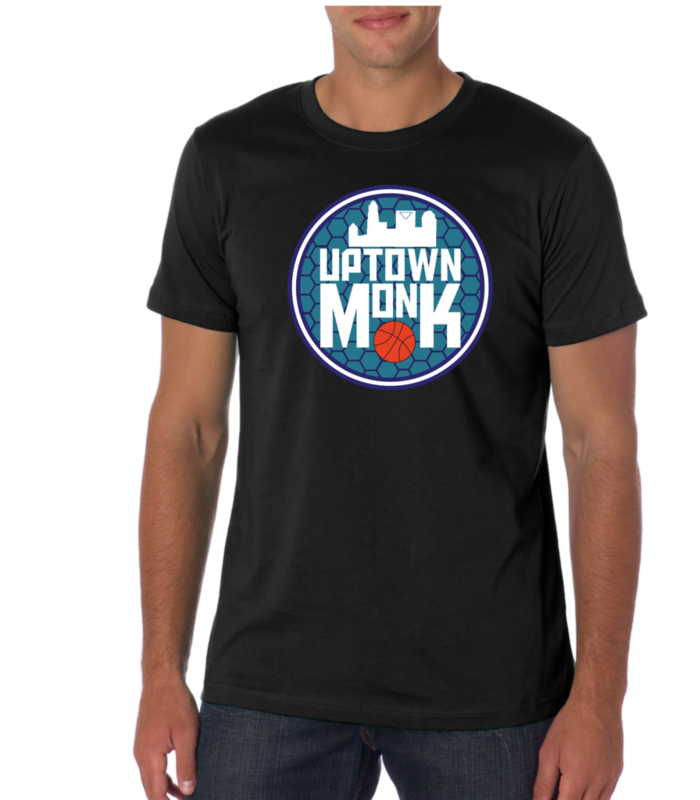 We are going to the B**Cats v Sacramento Kings game dressed up in our Teal and Purple and turning Time Warner Cable back into the Hive and giving the city of Charlotte a tiny glimpse of what they can expect when the Charlotte Hornets return. What we need you to do is head over to the event page on facebook and RSVP ( Event link: https://www.facebook.com/events/221802224619374/?ref=ts&fref=ts). If you follow us on twitter, instagram, or our blog this will be most of what we will be talking about for the next 2 weeks. Once you have RSVPed then please purchase your tix in sec 205/206 (if there are none…just purchase some anywhere and you can find us at the game) They are going for as cheap as $7 on Stub Hub!!! The event begins at Fitzgerlads at 5 with a nice pregame party full with FREE Kegs (only for Charlotte Hornets fans) and everything. At 7 we will be heading over to the game and cheering on our Future Charlotte Hornets. Then once the game is over we will be heading back to Fitzgerlads for the post game party! Remember none if this is possible without YOU GUYS! John, Evan and myself would just be three crazy people if it were not for your support. Also, I will be going to the Pacers and Jazz games the next 2 weeks and passing out SWARM flyers and selling Bring Back the Buzz shirts!